It’s totally the best when you find sleek activewear looks you actually want to wear—and totally the worst when you find out they become see-through the instant you to start to sweat. So how do you find those clutch pieces that actually hold up to, you know, life? 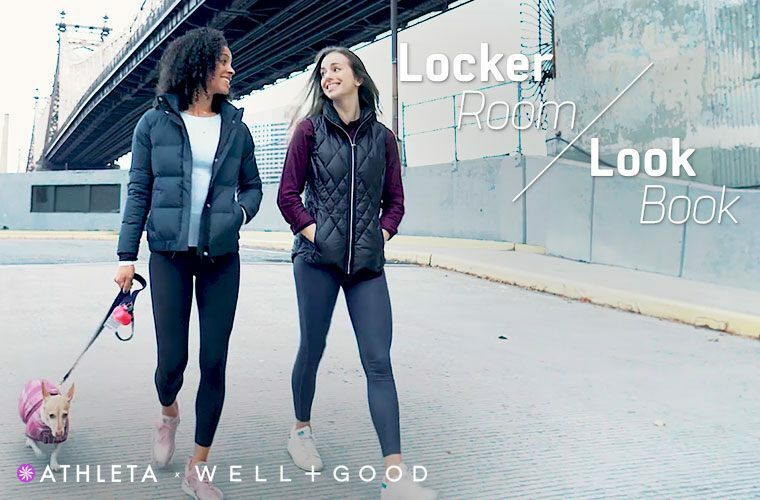 In the latest episode of Locker Room Look Book with Athleta, Akin’s Army trainers Bree Branker and Sophia Goldstein share some low-key brilliant advice for on-the-go fit girls who don’t have a minute to waste on primping—but still want to look bomb (obvi). Whether you’re into matchy-matchy sets like Branker or all-black-everything like Goldstein, you’ll save loads of time getting ready thanks to their styling tips (because who has time to worry about their sports bra before a 6 a.m. HIIT class?). Tune into the video to score all their genius tips and shop their wardrobe (trust: you’re going to want to).